Nintendo Switch owners really care about the icons that show up on their home screens, making so much noise that many developers are swapping them out. But not German indie studio Bplus. 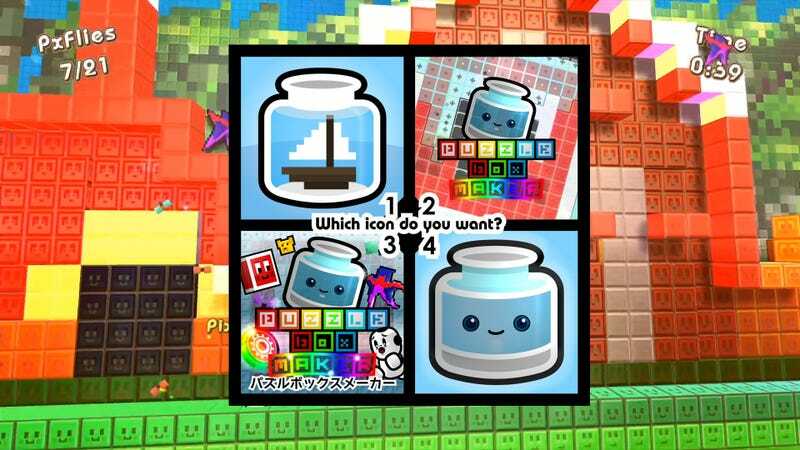 It’s asking fans to choose Puzzle Box Maker’s icon ahead of the game’s November release. In a post on the studio’s blog, Bplus introduced the four different icon choices, as well as its reasoning for giving potential players of the puzzle creation and sharing game the choice. They’re not wrong. Switch owners do not like plain icons, and Nintendo even suggests developers use some nice art with a logo as opposed to taking a more minimalist approach. That rules out the top left and bottom right icons. Right now the running favorite, according to the poll Bplus is running on Twitter, is the top right icon. Good choice; the lower left icon is just a bit too busy. Oh god now I am doing it. Puzzle Box Maker is slated for release on the Nintendo Switch next month. Its icon will be lovely.